Adam Rainer was born in 1899 in Austria. He holds an unusual distinction in medical history. 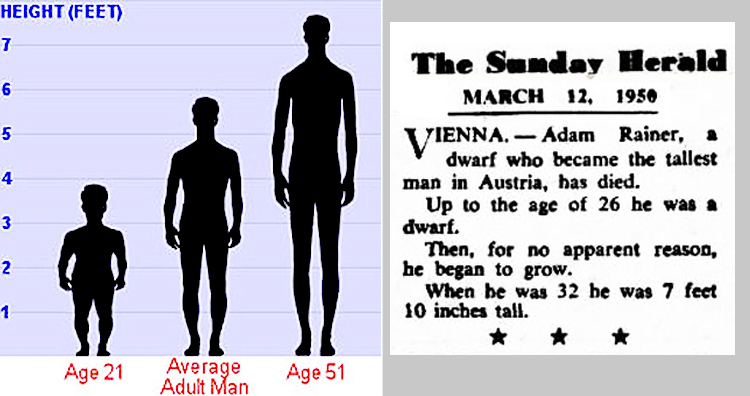 He’s known as the only person that was both a dwarf and a giant. From birth into adulthood, Rainer was always short. 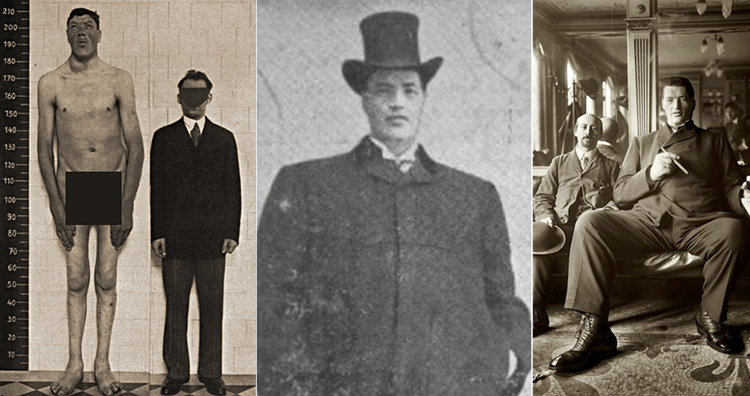 But at 21 he began a growth spurt that made him over seven feet tall—just 10 years later. Here’s the story of how it happened. Rainer had been small all his life. When he was 18, he tried to join the army, but was rejected for being too short and weak. He tried to enlist in the army again at age 19, since he had grown a bit taller. That time, he measured 4 feet 8.3 inches tall. But the army rejected him again. In the late 1920’s, when Rainer was approaching 30 years of age, he lost his appetite, developed a spinal curvature, and started having difficulty walking. He also became nearly blind in his right eye, and deaf in his left ear. Some notable people who have had the condition include wrestler André the Giant, motivational speaker Tony Robbins, and the actor who played “Jaws” in James Bond movies. 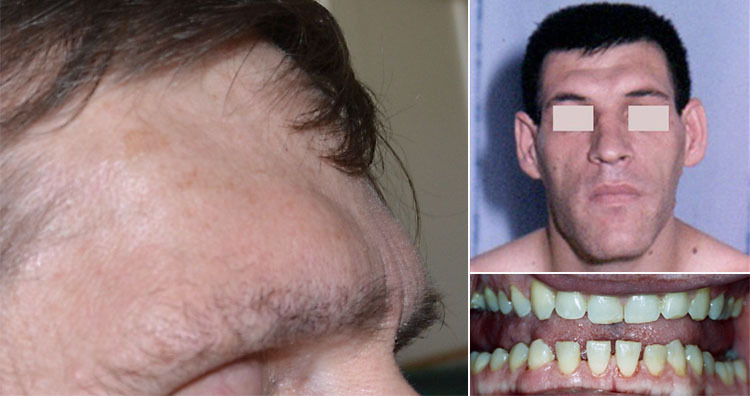 In 98 percent of acromegaly cases, the condition is caused by tumors on the pituitary gland. As the tumors grow, they can compress optic nerves, which is likely the cause of Rainer’s vision loss. It seems Rainer was showing symptoms of acromegaly years earlier. Because when he had applied to the army, doctors noted that he had large hands and feet in comparison to his height. At age 18, Rainer had a shoe size of EU 43, which equals US 10. But only three years later, they had grown to EU 53, which is US 20. 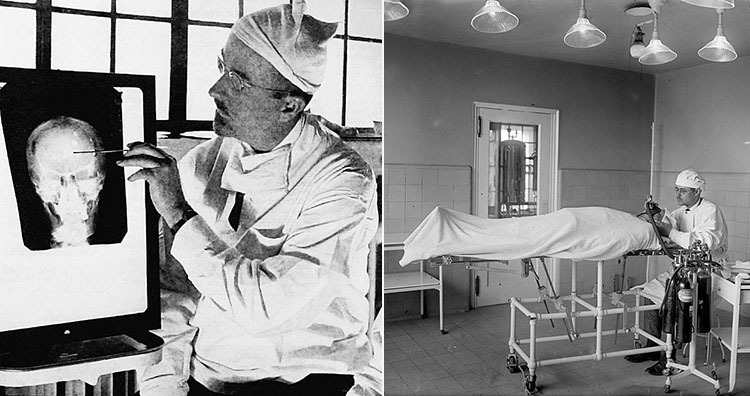 In 1930, doctors removed Rainer’s tumor to try to stop the overproduction of growth hormone. The doctors said there was only a slim chance that the operation would work, because the tumor had been growing for 10 years. When he was measured again a few months later, his height was the same as the previous measurement. But it turned out his spine had become more curved, which meant that while his standing height was the same, his body continued to grow. He died in 1950, at age 51. There’s conflicting information about how tall he was when he died. Some sources say it was 7 feet 10 inches, others say 7 feet 8 inches. People with acromegaly typically have a normal life expectancy, and those who go untreated live an average of 10 years less. Apparently in Rainer’s case, the damage had already been done when he got treatment. There’s no precise definition that qualifies a person as a “giant.” But it is typically applied to people with heights that are several standard deviations above average. So with his final height of over 7 feet 8 inches, its hard to dispute that Rainer meets the requirement. 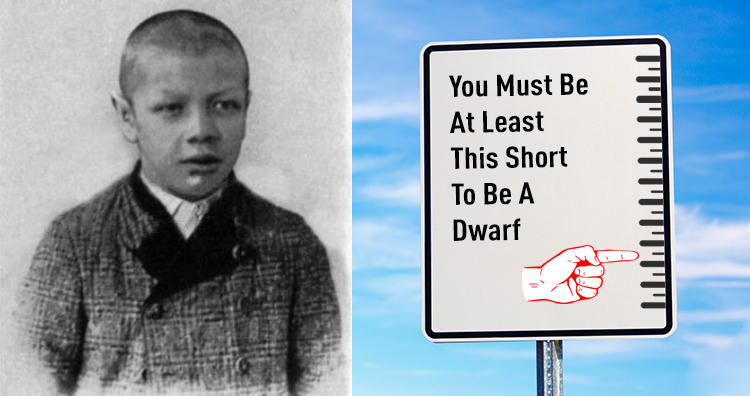 As a result, he’s gone down in history as the only dwarf who became a giant. Previous Post:It Is Confirmed: Aliens Can’t Survive Russian Winter!